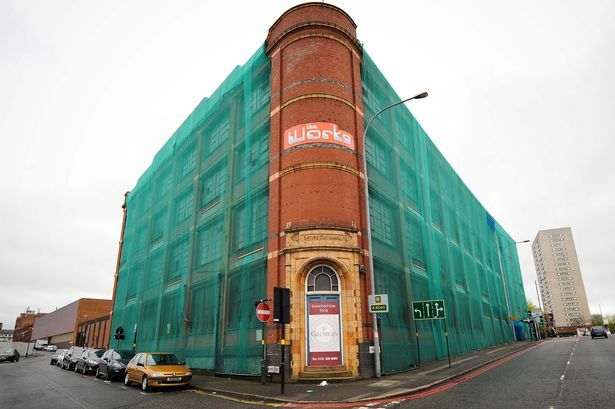 Former Swan Kettles building in Icknield Street has stood empty for more than a decade. A major Jewellery Quarter development is back on track after the former Swan Kettles building was taken over. Seven Capital bought the building and the 1.8 acres of land adjoining it last week, and is transforming proposals from a mixed use scheme with 700 homes to a residential-focused development with around 550 apartments. It marks another twist in the tale for the prominent building in Icknield Street on the edge of the Quarter, which has stood empty for more than a decade, despite promises of the biggest scheme in the area for 200 years. Seven Capital managing director Phil Carlin said: “Before it was quite a cumbersome scheme, but we are simplifying it and focusing more on residential. “We are planning to put something like 550 homes in the former kettle works and the site next door. The Kettleworks itself offers 140,982 sq ft of accommodation, with around 500 parking spaces. The building will be stripped back to the bricks and started again. The neighbouring car park will see a new apartment block built with 200,000 sq ft more residential space. Stephen Whittaker, deputy chairman of the Jewellery Quarter Development Trust, said he was pleased to see progress on the Kettleworks site. He said a head of steam is already building with the new Assay Office being developed nearby, and the recent addition of a Tesco supermarket over the road. He added: “The Kettleworks is a property that has been unoccupied for too long. It needs someone to love it. The area – known as the St George’s Urban Village – forms part of the city centre enterprise zone. The scheme was originally master planned by the previous owners as a mixed-use scheme including 700 homes with an end value of £160 million. However, Mr Carlin said Seven Capital was now proposing a smaller scheme after a period of local stakeholder consultation. New plans are being drawn up for around 550 homes and city architectural practice Glenn Howells has been appointed to undertake the masterplan and work closely with the city council planning department. Mr Carlin said: “The external fabric of the Kettleworks is to be retained providing us with a huge opportunity to create a incredible ‘loft living’ styled scheme on a scale that has never before been witnessed in Birmingham. “There is huge built-up pressure in the market now, which has been showed by the take up at One Hagley Road,” he added. Mr Carlin said it was the most embryonic part of the three schemes, with work completed early in 2016 at the earliest. Birmingham Office Market Forum chairman John Griffiths said: “That is a major gateway into Birmingham city centre, and it is a great area for a scheme like this. “Where else in Birmingham have you got a vibrant village atmosphere?